In the modular building industry, it can oftentimes be difficult to give a general estimation on the overall price of our product. Here at Panel Built, we love tailoring each of our products to the specific needs of the company or person they are for. Therefore, with each project being unique, it can be tough to give general pricing guidelines, but that’s exactly what we are going to do today! 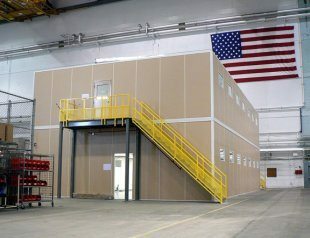 When entering your modular building project, there are a few main project facets that are going to have the biggest influence on the modular office price. If you want to have a good number in your head for the office build out, you’re going to want to have them planned out pretty well in advanced. Let’s jump right in! As before stated, every modular office requires a unique set of features and options. However, for our basic buildouts, the price per square foot usually comes out to between $20 and $40 per square foot (applies to 4 wall projects). However, they can go as low as $17 or $18 in certain instances. This number should provide you with a solid basis to get started! Here’s where the variables and the specifics to your projects really come in… Do you need an office to have a load bearing, storage roof? What about putting the office atop of a mezzanine for storage space underneath? 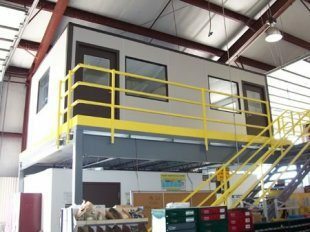 Or you could have your inplant modular office sit underneath a mezzanine and have a convenient stairway for easy access. That’s not even mentioning our HVAC units, multiple door and window options, fire resistance, and sound proofing options. 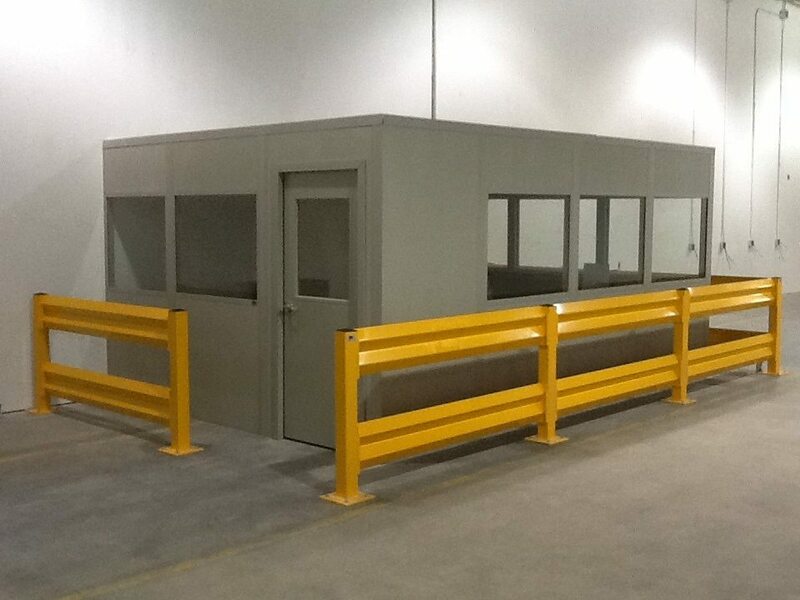 As you can see, we provide a number of different options on our prefabricated offices, in order to provide a product perfect for you. To best way to find out how each of these influence the price of your project, talk to one of our sales reps! freight will be another indicator of the overall price of your project. While the freight for each project will vary based on the project’s size, it will typically run about $1.90 to $2.75 per mile. Next, you will need to determine whether or not you want us to install the project for you! Typically, the installation of our products will be around 25% to 30% of the price of the project. So, as you can imagine, the bigger the project the more the installation cost. Finally, when you’re looking at the to cost of a project, time should also be included. Not because there’s a specific dollar amount applied to it, but because, at the end of the day, time is money. Especially if your project is time sensitive, any amount of downtime for your company could equal a loss of profit. Our offices require very little time for installation (especially compared to traditional construction) and create minimal site disturbance. This way, you will be able to input your new office structure with as little disruption to your company as possible. Here are some pointers to ensure your modular office fits you best! 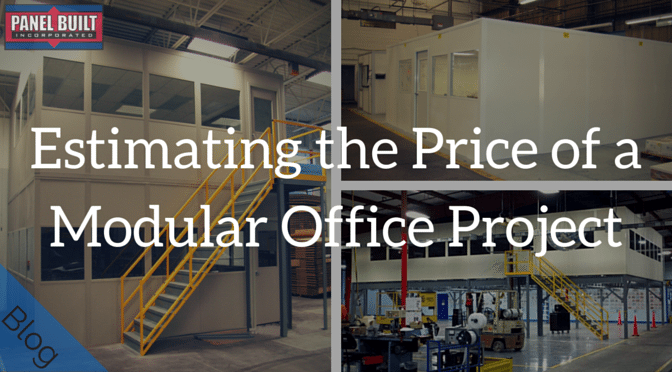 Overall, this guide should give you a rough outline on the price of your new prefab office project. Taking into account all of the square footage, add-ons, freight, installation, and lead time that goes into the process, will start you off in the right direction, but in order to get a solid and easy answer, just get in contact with our sales people or fill out our Request a Quote form. No matter how far along you are in your process, we will be more than happy to help you develop a modular office to fit your specific needs and give you a free quote on it too! and get your prefabricated project started! n the modular building industry, it can oftentimes be difficult to give a general estimation on the overall price of our product. Here at Panel Built, we love tailoring each of our products to the specific needs of the company or person they are for.